If you've been turned down for an auto loan, try one of these routes. When you have a low credit score and you’re in need of a new vehicle, securing a car loan can feel like you’re spinning your wheels. Getting turned down for auto financing can be demoralizing, especially when your current vehicle is on the verge of breaking down or you don’t have any means of transportation at all. Did you know that where you turn for help with your car loan will dictate how to go about the process and can be your key to approval? We’ll cover the four best options for getting a car loan with a low credit score and how to navigate each one. If applying for a car loan at your bank has gotten you nowhere, you can consider joining a credit union to get the auto financing you need. Unlike banks which operate for profits, credit unions are non-profit entities that are typically owned by their account holders. This offers more flexibility and opens more doors for borrowers with bad credit to secure a loan. On average, credit unions offer lower rates on auto loans than banks, so you'll have a better chance at keeping your auto loan rate within a reasonable range. It is much more difficult to get a good APR rate when you apply for a car loan at a bank and have bad credit. Finding the right credit union will require a little legwork since you can't just walk into the closest credit union and request a car loan. First, research and find credit unions where you’d qualify to be a member, apply for membership and only then will you be able to apply for an auto loan. Military members and veterans can be eligible for a loan from a credit union. Local Credit Unions: serve a specific region like a city or county. Qualification will require proof of residency. Federal Credit Unions: national credit unions that accept most applicants. Qualification includes being 18+ years of age and U.S. citizenship. Military Credit Unions: serve current military members and veterans. Group or Employer Credit Unions: accept a select group of individuals that are part of an organization (e.g. church), industry or government agency. It may be more difficult to get financing from your car dealership of choice if you have bad credit but it's not impossible. You can improve your chances of auto loan approval if you select an affordable vehicle, save up for a substantial down payment and/or find a cosigner. The less your vehicle costs and the more money you put down means you can finance less of it, and a lender will be more likely to approve you. Consider buying a used car: or choose from the most affordable new cars to start your search. Plan a down payment of at least 20%: this gives lenders confidence in your ability to repay, even without an excellent credit score. Find a cosigner with a good credit score: a cosigner is your best bet to help you get approved. Remember that if you're ever late on a car payment, the lender can go directly after your cosigner which can strain your relationship. If going through a credit union or traditional lender has gotten you nowhere, going to a Buy-Here-Pay-Here (BHPH) dealership can be an alternative. A BHPH dealer will both sell you a vehicle and finance it themselves. This means they will be much more flexible with approval since their goal is to sell the vehicle. A steady income is usually the only qualification for auto loan approval but this doesn't come without a catch. You'll need to consider that the interest rates will be higher, typically climbing into the double digits. 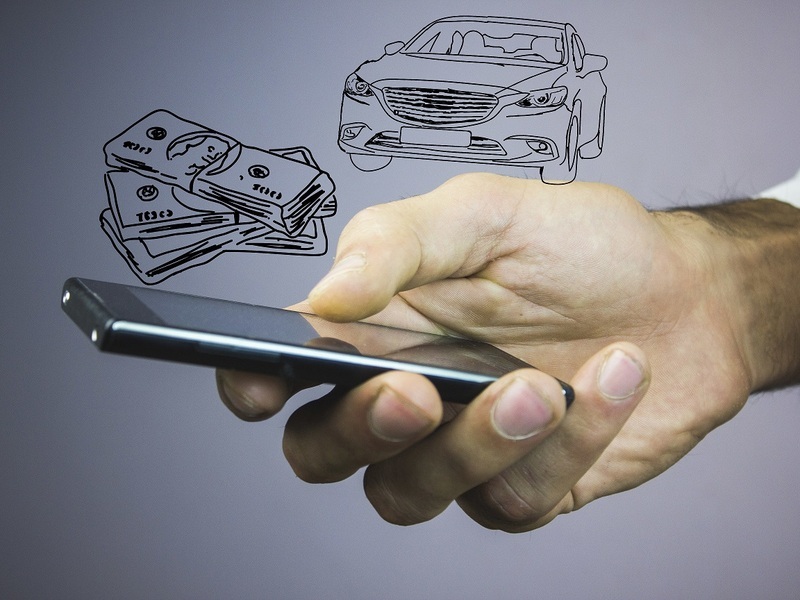 The car buying process also won't look the same as going to a regular dealership or lender. BHPH dealers will handle the financing first: this determines how much they will lend and then offer you a specific selection of vehicles that are available for this amount. In-person payment: making payments will usually require you to go into the dealership in person at least once or twice per month. Some BHPH dealers may allow payment to be mailed: you'll want to check about the requirements before you sign a contract. Regardless of where you end up going to get your auto loan, you should do extensive research on the options available to you and get pre-approved for financing before going to buy your car. Even for car shoppers with fair or good credit, it pays to shop around online for auto financing prior to going in to buy the vehicle. Getting pre-approved allows the shopper to compare rates from multiple lenders and choose the best option. For those with compromised credit, it becomes even more important. Applying for auto loan pre-approval can help you avoid the hassle of a denied loan application at the dealership. Find a reasonable auto loan rate: because subprime lenders offer extremely high rates, shopping around for a lower APR can save you hundreds of dollars over the course of the loan.